We are putting together the Carnet for the US trip, at the moment it consists of 160 jobs that are ready, and have been submitted through the London Chamber of Commerce. Everything that we send out has to be declared, we can’t add things or take things away. It’s basically like a passport for goods, to help things move along quickly and efficiently so there are no delays when shipping it over to the US. So when prepping the trunks we get everything ready for each customer who has an appointment; we pull their garments and make sure everything for them is there. Garments for each day go into one trunk; they are packed in appointment order so the guys that are going over can pull it out easily and not have to fuss about trying to find items for each customer. It’s a logistical task so we can’t afford to miss even one customer. 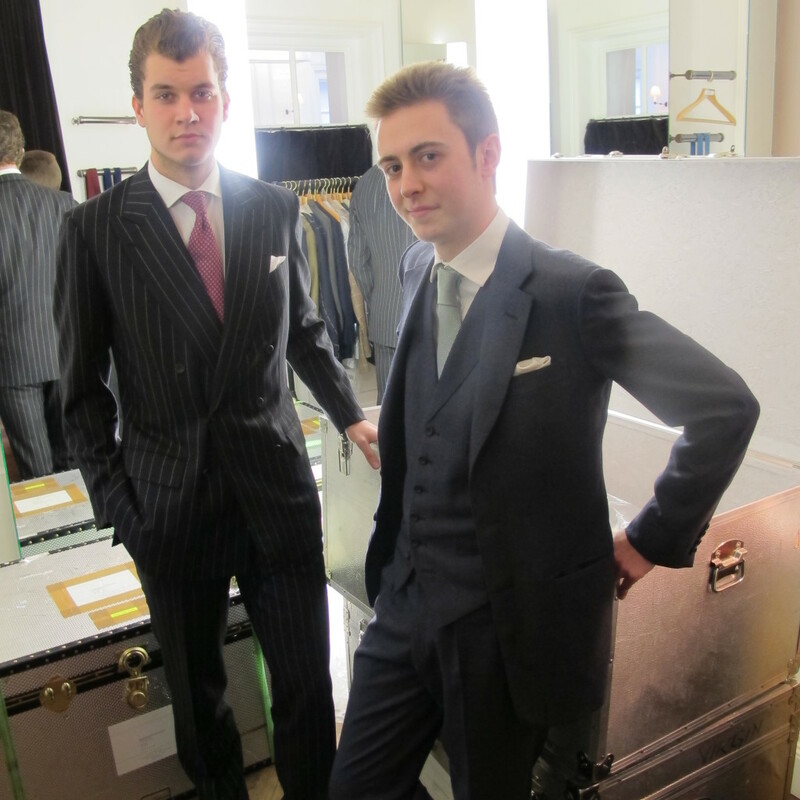 In New York they will have approximately 15-18 customers a day some with up to four suits each, so can you imagine if one customer turns up and his suit isn’t there it will be a disaster for us so, we make sure that never happens. That means we are double checking and cross checking all the paper work as we go along. The trunks are sent out two weeks in advance because they have to go through stages before they are flown over. The paperwork is checked; the trunks are weighed up and booked onto the flight, and once they have cleared customs they then get shipped out. 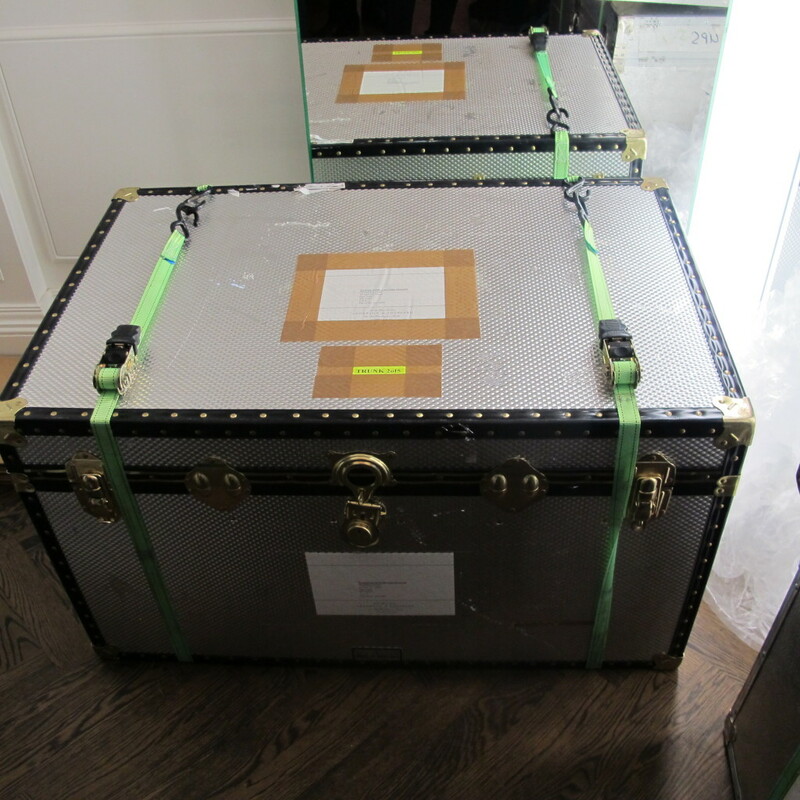 If all goes well the trunks arrive at the Hotel 24 hours before our Anderson & Sheppard representatives arrive. Usually there will be between 180-200 suits for the week in New York. Two day visits to Washington and Boston follow, with about 15-20 suits each in those cities. It’s a hectic trip but organisation is what guarantees it runs smoothly; so we ensure that the Carnet is properly prepared and the trunks are ready to go.